Yeh Hai Mohabbatein Another love triangle begins. Raman and Ishita help Aaliya in finding the proof of Rohan’s innocence. They learn that Aaliya has stolen the order book from the shop. They call it morally wrong. Aaliya apologizes to them. She promises to return the book after finding the proof. She feels some guy has seen her while stealing the book. Ishita asks her why did she not do this carefully. They share a laugh by pulling Aaliya’s leg. Aaliya tells them about some guy saving her. Ruhi teases Aaliya. Yug gets in Aaliya’s dreams. He falls in love with her and wants to meet her once again. He tells his friends about her. He tells that he doesn’t know anything about her. He tells them that Aaliya has stolen his heart. Meanwhile, Sudha regrets her plotting. She decides to accept her crime and surrender to police to free Rohan from jail. She tells Karan that she begged Ishita, but the latter didn’t wish to help them. Karan consoles Sudha. He assures her that they will meet Rohan again and try to convince him. 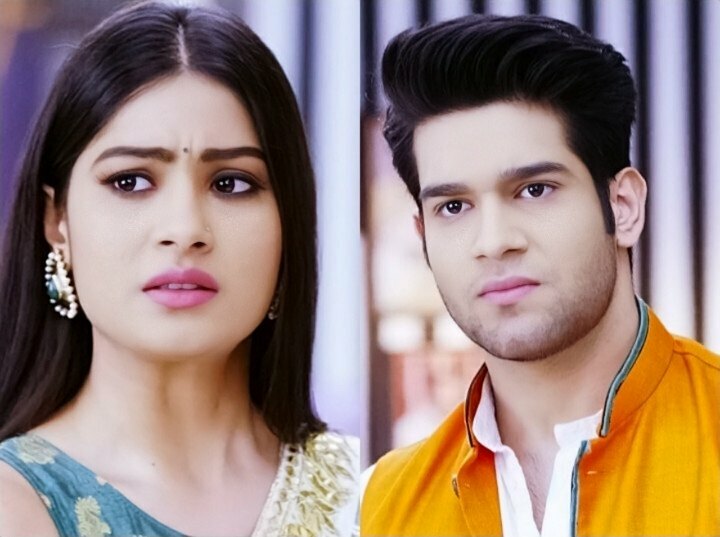 Sudha cries in Rohan’s memory. Karan wants to do something and stop Sudha’s arrest. Raman gets tired and fails to find any proof. Ishita learns about Sudha’s manager who had ordered the sweets and then spiked it for Raman. She wants to meet Rohan and confront him for his lie. Sudha dreams of losing Rohan. She finds herself locked. She wants Karan to free her so that she can go and free Rohan. Karan doesn’t want her to surrender to police. He tells her that he will not let her do anything stupid. He promises her that he will free Rohan. He gets a new plan in mind. Ishita meets Rohan in the jail to ask him about saving Sudha. Rohan tries to deny her. When she shows him the proof, he gets helpless to admit everything. She seeks answers from him. He tells her that he is aware of Sudha’s conspiracy, but can’t see her staying in jail. He tells her that his presence in jail is already a punishment for Sudha. Ishita wants to get Sudha punished. She doesn’t know how to inform Raman. Rohan begs her to spare Sudha. Ishita tries to tell Raman. Raman gets nervous to meet the health minister for making an apology. Yug stays happy dreaming about Aaliya. Yug finds a clue and learns that Aaliya is a south Indian girl. He wants to find her and asks his friends to help him.